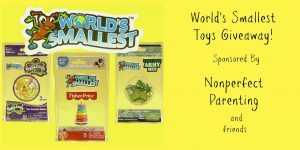 Enter to win the World’s Smallest Toy Giveaway! Christmas is right around the corner, and these would make great stocking stuffers!! Be sure to ENTER TODAY!!! !